We Are Passionate About Learning and Playing! Jessie joined our staff in February of 2017! 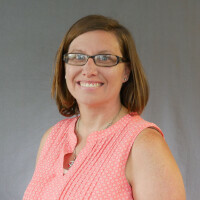 She has a Master's degree in Early Childhood from Ball State University. She has 9 years of teaching and administrative experience in early childhood programs and has a passion for working with young children and creating safe, loving, and family-friendly environments. In her free time, she enjoys reading, spending time with friends and family, and hosting game nights. Heather joined our staff in November of 2016! She is fairly new to the Zionsville community, but has absolutely fallen in love with the area! She has a Bachelor of Science degree in Elementary and Special Education (K-6) from St. Joseph's College in small town Rensselaer, IN. 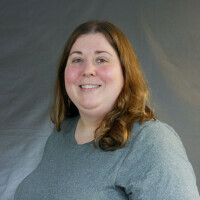 Heather has 6 years of teaching experience including nursery age to middle school students. She has gone through several courses and trainings in areas more specifically geared toward students with special needs, such as Autism and Emotional or Learning Disabilities. She has also been intensely trained in crisis interventions and behavioral management. In addition, Heather is a mom of a toddler herself. She is an avid Disney fan who loves spending time with her family and traveling to take her daughter to pageants and gymnastics. After being a stay at home mom for a short while, Heather looks forward to teaching little kiddos once again. Sarah joined our staff in August of 2018! Sarah is currently pursuing her CDA. She has seven years of teaching/aide experience in elementary and preschool settings. Prior to teaching preschool, Sarah was an aide for children with special needs in elementary (grades K-5) at Perry-Worth and Stonegate Elementary Schools. The last four years she has been a teacher at Presbyterian Preschool Ministry in Lebanon, Indiana. She has experience teaching children with special needs, such as autism, social and emotional delays, and developmental delays. She has a passion for teaching young children and creating a loving, hands-on learning environment. Sarah has two children: a daughter in fifth grade and a son in second grade. She enjoys watching her daughter play travel softball and basketball, her son play soccer and basketball, and spending time together as a family. Her family is also very active in 4-H, including showing sheep, and Sarah is the Mini 4-H Leader for Boone County. Sarah is very excited to be at CLC Preschool! Carolee joined our staff in August of 2018! She has a Bachelor’s degree from Cleveland State University, and she worked for seven years as an Associate Teacher-Counselor for the special needs & autism population. She has been a stay at home mom for seven years since her oldest child, Mia, was born. In her spare time, she enjoys reading, traveling, and spending time with her family. Anne joined our staff in August of 2017! She has a Bachelor's degree from Butler University. She has been married 30 years and has two young adult children and a sweet German Shepherd named Toffee. She likes to spend time with her family, read mystery novels, and travel. Debbie joined our staff in August of 2018! She has lived in Zionsville for fifteen years and has two children and two grandchildren. She is a Colts football and Butler basketball fan. In her spare time, Debbie is a dance and pageant mom, and she likes to garden and decorate on a dime. 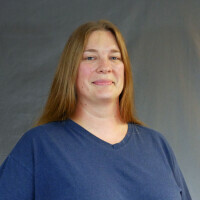 Cheryl originally joined our staff in August of 2012. She left for two years but remained a sub and is very excited to return and teach in the 2/3s classroom. She has a Bachelor of Arts degree in Sociology from Tulane University and a Master of Science degree in Social Work from The University of Texas. She worked as a psychiatric social worker with children, teens, and families for several years before having children. 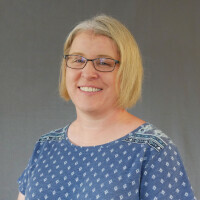 Cheryl and her husband, Frank, have three children: a grown son who lives in Pittsburgh, a son who is a sophomore at DePauw University, and a daughter who is a junior at ZCHS. They moved to Zionsville eight years ago from New Hampshire and are still getting used to living without mountains and the ocean! In her spare time, Cheryl loves to read, travel with her family, walk her Basset Hound, Lucy, and watch basketball. Jill joined our staff in August of 2017! She has a Bachelor of Science degree in Elementary Education, as well as Middle School Spanish and Math endorsements, from Butler University. She also has several graduate hours in Effective Teaching and Leadership. After 12 years of teaching middle school Spanish, Jill started a family and became a stay at home mom to her two young children. She is excited to be teaching again and to work in the 2/3s classroom. In her spare time, Jill loves to play with her children, read, bike, and go hiking. She is also an avid Butler basketball fan. Debbie joined our staff in June of 2018! She has an Associate's degree in Early Childhood Education, and plans to start her Bachelor's degree this year. She has a fifteen year old son who is a sophmore at Beech Grove High School. 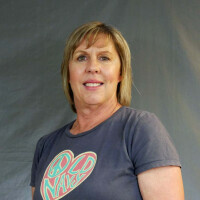 She has been teaching children for over fifteen years in several different settings. If she is not working, she is usually traveling to new places, training for the Mini Marathon, gardening, reading, cooking, or finding new fun activities for the kids. Kara is excited to return to CLCP and is looking forward to teaching in the 3/4s class for the first time. Kara has a Bachelor of Science in Communication from the University of Indianapolis, and many years of experience in child care. Kara is always looking for creative and fun ways to educate children. Kara lives in Indianapolis with her husband, Neal, their three young children, and golden retriever. She enjoys exploring parks around Indy with her family and creating art projects with her kids and students. Kim joined our staff in November of 2007! She has a Bachelor of Science degree in Consumer Affairs and Business Administration from Eastern Illinois University. After working 10 years in the insurance industry, she turned her talents and time to the children's ministries at her former parish in Wisconsin. She taught in several capacities and then served as the Director of Christian Education. Kim has received her Child Development Associate (CDA) degree from Ivy Tech. Kim and her husband, Kevin, live in Zionsville and have three grown children. In her spare time, she loves to read, play guitar, ride horses, and spend time with family. Desiree joined our staff in August of 2015! She has a Bachelor of Science in Education degree from Ohio State University with 11 hours of graduate school in Early Childhood Education. She taught for several years in the PACT for West Central Illinois program before having children. She has 4 children: one at Ball State, a senior and a freshman at ZCHS, and a 5th grader at ZMS. In her spare time, she enjoys reading and scrapbooking. Wendy joined our staff in July of 2009! She has a BS in Physical Education and Health (K-12) from Indiana State University. 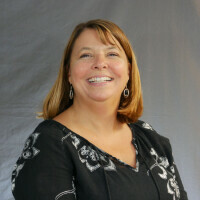 She has taught in several preschools, including sixteen years at St. Mary’s Preschool in Lafayette, IN. While at St. Mary’s, she introduced and taught the Zoophonics program, (for sound-recognition of letters leading to pre-reading). She uses this curriculum, along with the Christ-centered curriculum here at CLC Preschool now. She has also had several of her teaching ideas published in the premiere journal for preschool educators, The Mailbox Magazine. Jamie joined our staff in July of 2017! She has her Bachelors degree from Indiana State University. She has two teenage children. (A boy and a girl). She has been a stay at home mom since they were born, but has done volunteer work at their schools throughout their years. She decided now that they are older to go back to work. Jamie recently moved to Zionsville from Pike township with her family and they really love it here. Jamie and her husband are third degree black belts in karate and we are Senseis. They teach karate to children and adults. Their children are also black belts and national and state champions. They enjoy studying karate together as a family. Her hobbies include photography and writing.